The Community-Based Master of Education Program in Educational Administration for Southeast Cornerstone SD #209 and Holy Family RCSSD #140 was designed to provide a unique cohort model of graduate education to educators in off-campus locations in order to more effectively link theory to local educational issues and practice. Students in this cohort began their program in the summer of 2015. They finished in the summer of 2017. 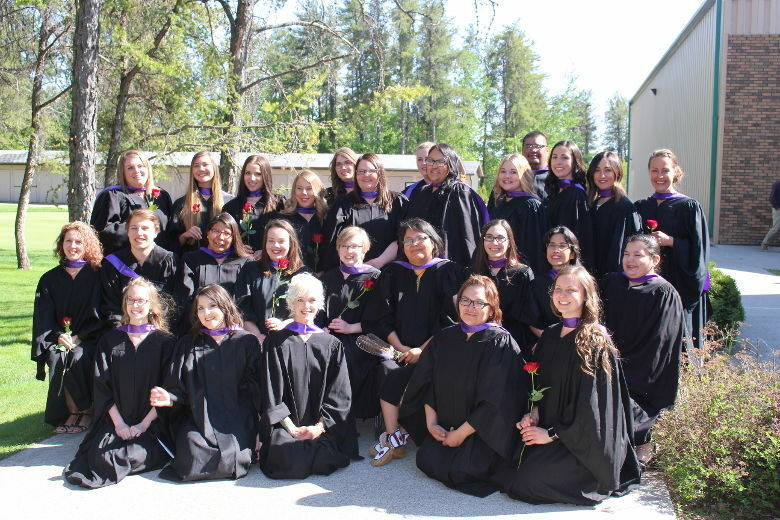 Cumberland College’s first group of four-year Bachelor of Education students are set to graduate this year and some have their eyes set on teaching positions in the Northeast. 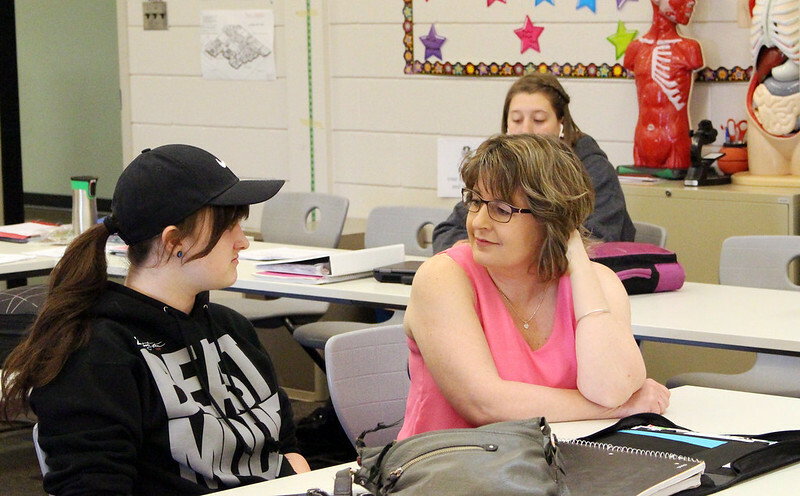 Amy Kapeller of Tisdale did her teaching internship in Melfort at Brunswick School. “It was a very good experience, and I liked working with that grade,” said Kapeller. Melanie Ilnisky is one of several students who graduated a semester early. She’s already working a temporary contract position in a local Grade 5 classroom. “This has been a great chance to get started and get ideas rolling into actions and trying out new things,” said Ilnisky. She’d like to stay in the area if she can. As far as Ilnisky was aware, three of her early-graduating colleagues had found work close to home. 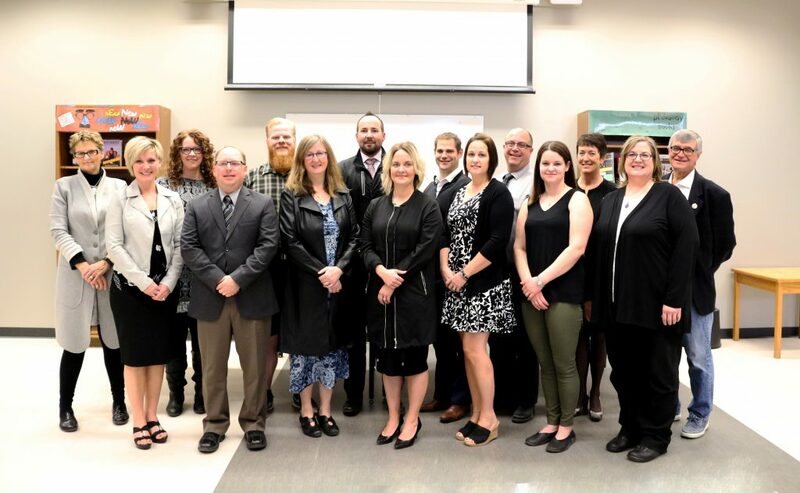 The Community-Based Bachelor of Education Program was offered at Cumberland’s Nipawin campus through the University of Regina. Ilnisky, who is from Kinistino, was considering going to Saskatoon or Regina for school when she was offered a spot at Cumberland. “I really liked the idea of being able to stick around family and close friends, and not having to spend the cost of going to the city, making that big move and finding a place to live and whatnot,” she said. According to the college’s website, the program aims to “support potential students in becoming teachers within their own communities”. Cumberland hopes to train local students to become local teachers. 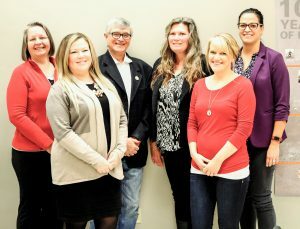 The first four-year program was offered in Nipawin, but the new group of students starting in September will take their classes in Melfort. “It’ll be a somewhat different cadre of courses, but otherwise it’s going to be basically the same,” said Relland. Both Kapeller and Ilnisky noted that the small classes were a positive part of their learning experience. Kapeller started school in Saskatoon before transferring to Cumberland. “It was 30 people in your class compared to 300, and it was much more personal,” she said. 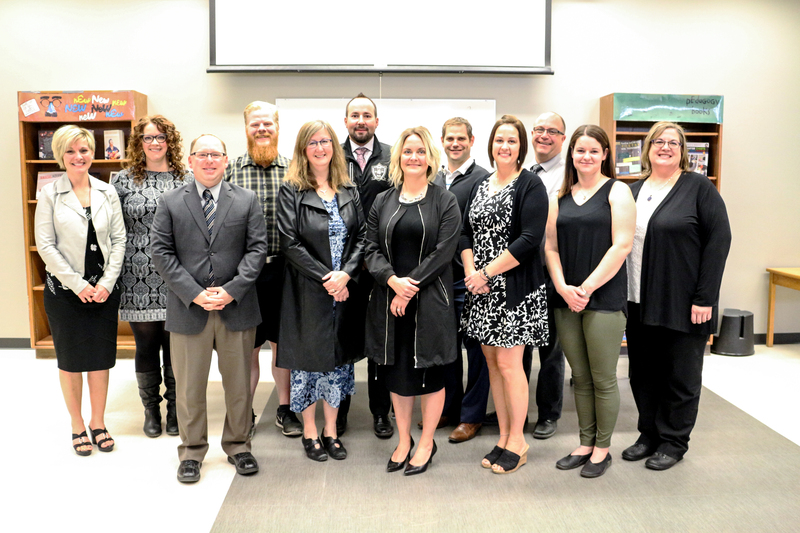 For the first time, one of our Faculty of Education courses is being offered with a unique integrated high school course at Campus Regina Public School. Dr. Twyla Salm is teaching the Education Core Studies (ECS) 100 course at Campus Regina Public as part of their Early Childhood program. Normally, ECS 100 is a required course for first year education students in all programs in the Faculty of Education. At Campus Regina Public, however, the students are still in high school! In 2012, Regina Public Schools developed Campus Regina Public, an innovative high school program that integrates vocational and technical courses with academic courses for credit. The Faculty of Education and the University of Regina have recently partnered with Regina Public Schools to add another dimension to this already unique high school program. Last winter and, once again, this Fall, ECS 100 is being offered as part of the integrated Early Childhood Program. 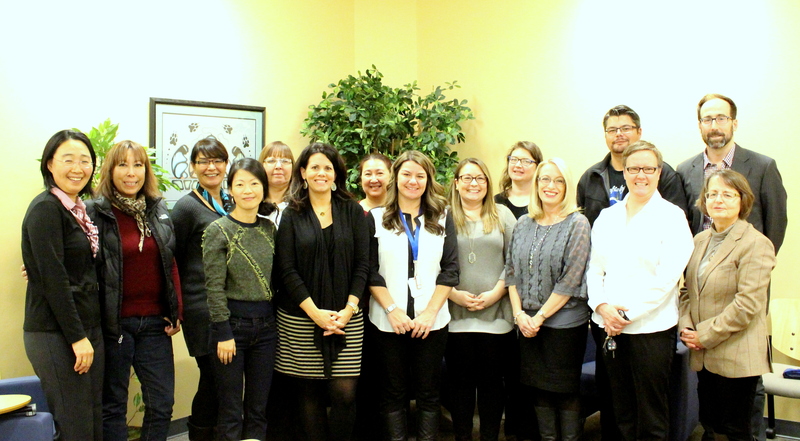 Dr. Salm says, “This ECS course is a unique program integrating the learning outcomes of ECS 100, English 20/30, Psychology 30, and Career and Work Exploration 20/30.” Two Regina Public School teachers, Lisa Williams (Career Ed. & Psychology) and Jennifer Minter (English) co-teach with Dr. Salm; they plan, instruct, and evaluate as a team. Campus Regina Public students are admitted to the University of Regina through the High School Accelerated Admission Process and receive a university credit when they successfully complete ECS 100. The University of Regina provides a scholarship which covers the cost of tuition so every Campus Regina Public student has the opportunity to experience a university course without the usual expense. Over the past two semesters, the ECS classes have been a diverse group of 32 plus students representing every high school in the city. In the ECS 100 course, students examine topics such as the history and politics of Canadian school and the purposes it has served; how knowledge has been constructed from various historical contexts, worldviews, and values; and information about literacy and research. Students have a work experience component in which they spend time working in early childhood classrooms. They also gain research skills and learn to think critically and creatively about the construction of knowledge and educational systems. Kayleigh Marsh: I like that this class gives us the opportunity to get a kickstart on our university education and that we’re saving money on the class. We have learned lots about how residential schools affected the children and how they viewed the world. Selina Musleh: I liked going on my work experience. I learned how to make a lesson plan. Sydney Vogt: This is definitely my favourite class and it is great to be able to learn more about the development of young kids and get some experience working with them and teaching a few lessons! Cheyenne Rathje: I love this class. I’m here for two hours a day and I love coming to this class because I get to play with little kids and do fun activities. I would do this class [more] than any other class. This is the best class ever. Hanna Lapchuk: I have learned in working with younger kids. I have learned how to work with them and understand their learning abilities. I have worked with the kids hands-on and made learning plans with them. Spending 2 hours a day for 2 weeks with them, you really get to know the kids, know how they work, what they like, what they hate, and how to teach them in the best way. Tabinda and Mishal: Field experience has been amazing! We’ve gained exceptional knowledge. We never knew there was so much in a child at such young ages. Nicholas Bage: I like how this class gives you real experience on what it is like to teach an early elementary class as well on what to expect in a university class. Kennedy Weber: I like this class because there is always so much to do and working with the kids is such a learning experience and I love coming here every day. Chloe Anderson: I love this class because of the hands on experiences we have, along with getting real experience with children of all ages. Jaida Crichlow:The ECE program has awesome educators and a safe and fun environment to be in. Brianna Pinay: It is a very great program with many opportunities. Hailey Harron: I love this program because it teaches you everything you need to become a teacher and how to understand children better. “Awesome! Wonderful experience … it was a great two years,” said Brock Skomorowski when asked about his experience as a student in the Master of Education program. 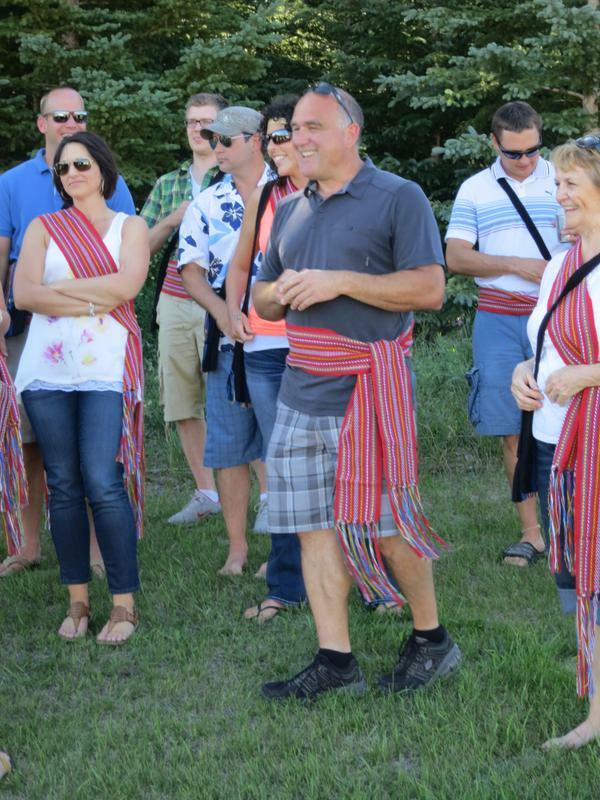 It is not often that a group of educators sitting in the shade in a beautiful acreage on a gorgeous summer afternoon sipping cold drinks as the seductive aroma of smoke rises from the BBQ grill are unanimous in their satisfaction with an experience. 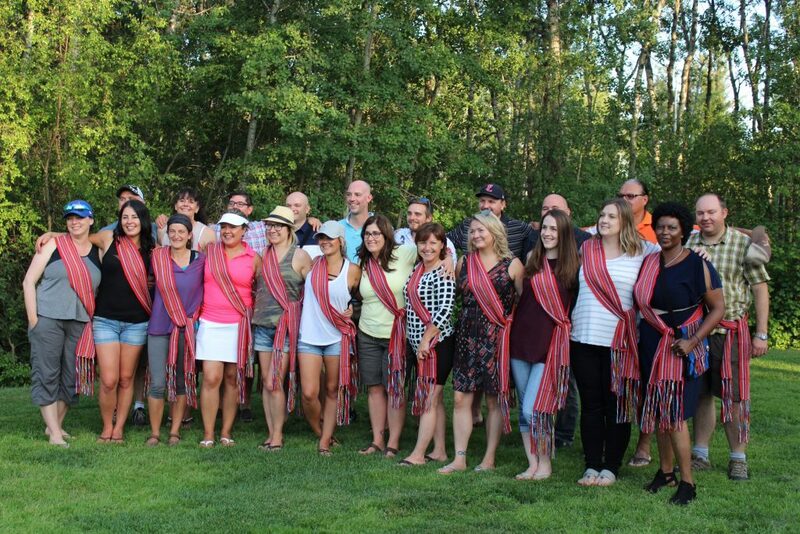 But that was the case on July 30, 2015 when 23 members of the inaugural GDI-University of Regina Master of Education in Prince Albert held a celebration to mark the successful completion of the program. Cory, whose brother was among the graduates, asserted that the 23 graduates will be able to get into education administration roles and help influence educational policies around Saskatchewan (Indeed one of the graduates has already been offered a Vice Principal position at a school in the Prince Albert Area). Cory congratulated the graduates and thanked Michael for his dedication to GDI and to the Métis people of Saskatchewan. About two thirds (15) of the graduates were individually asked to sum up their experiences in the program. The responses included: awesome (26%), fantastic (20%), wonderful (13%), beyond my expectations (13%), very good (7%), good (7%), I liked it (7%), and I enjoyed it (7%). Fifteen is a representative sample, and it can be argued that the majority of the inaugural cohort of the program had positive things to say about their programs. Out of 25 students who enrolled in the program, 23 completed successfully – a completion rate of 92%. One of the professors who attended the graduation party, Dr. Carol Fulton, praised the students and said she enjoyed the classes she taught. 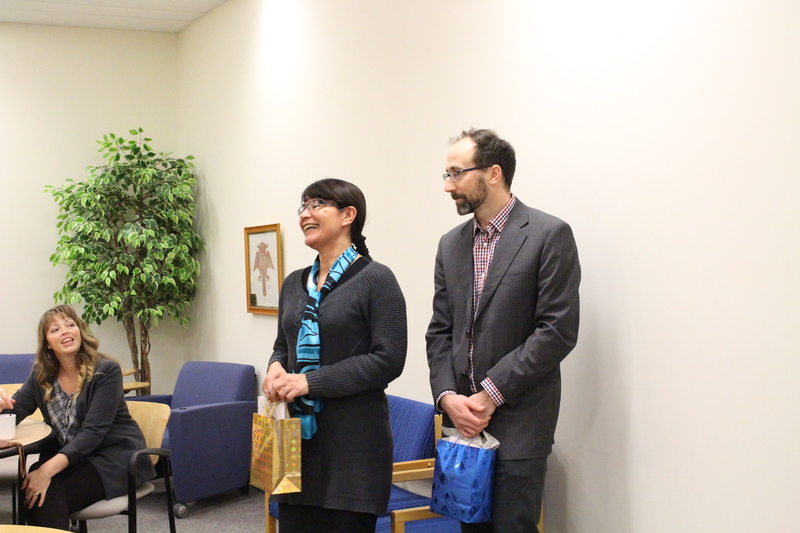 She also commended GDI and Michael for ensuring that the program ran smoothly. Brian Linn, one of the graduates, and his family hosted the graduation party at their acreage just outside Prince Albert. 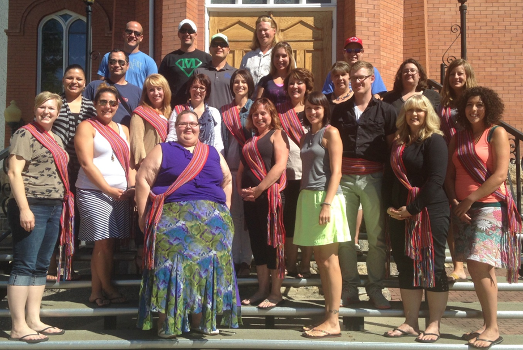 Congratulations to the U of R Masters’ of Education Graduates from the community-based cohort in Prince Albert, Gabriel Dumont Institute.